LMU students, faculty, staff, and members of the community (really, anyone and everyone!) are invited to join us on February 26, 2018 for a Wikipedia edit-a-thon. Regardless of whether you are a novice or an expert Wikipedian, all attendees will have the opportunity to participate. Trainers will be on hand to teach beginners how to edit Wikipedia and help more experienced editors address problems and questions. The edit-a-thon will run from 10:00 a.m. to 4:00 p.m. but guests are encouraged to drop in at any time! Everyone is welcome! Please RSVP so we can bring enough snacks. If you are a guest to LMU's campus, please visit LMU's Parking website for information about on-campus parking. Coffee and snacks will be available throughout the day for attendees. Guests are encouraged to bring their own devices, but we will also have a limited number of laptops on hand to borrow. 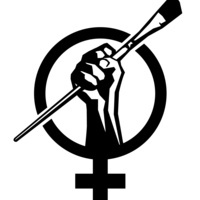 In collaboration with Jennifer Moorman’s WGST 1100 course, “Gender, Race, and Sexuality in Contemporary Society,” we will be focusing on improving Wikipedia’s representation of topics related to gender, race, and sexuality in contemporary society (and more specifically: the cross-section of art and feminism) to improve Wikipedia’s accuracy, evidence, and objectivity.